Let Asiatica Travel be your fellow travellers to Laos- the ancient kingdom of "Millions of Elephants". 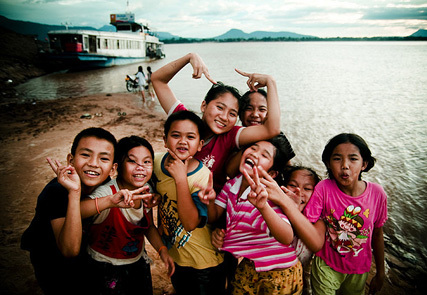 See how tree-lined boulevards, gilded Buddhist temples contain full of charming Vientiane. Continue visitting the formal royal capital of Luang Prabang which never make travellers fail their expectation with its abundance of temple, French architecture, friendly local people or meditating monks.. Go on pilgrimage at pak Ou Caves, admire a golden sunset from top of Phu Si Temple. Pack luggage and go! We will behind you! LuangPrabang is the former capital city of Laos, and considered the most romantic town in Southeast Asia.Its tranquil streets and splendidly decorated royal temples make it a a wonderful travel destination. It is also the biggest Buddhist centre in Laos. As the sun rises in LuangPrabang, its warming glow wakes the town up with a procession of saffron robed monks who begin their timeless custom of collecting alms in the early morning hours. The silent shuffle of monks and humble offerings from the locals allows great insight into the role of Buddhism in Laotian culture. 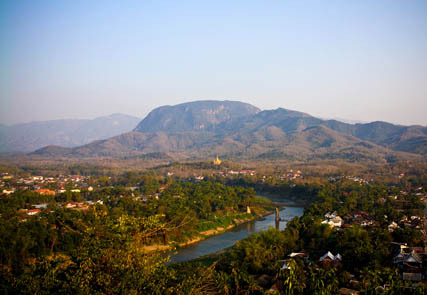 An exotic experience to be found nowhere but LuangPrabang! The ancient kingdom of the “Millions of Elephants” is world renowned mainly for its awe-inspiring nature full of rugged mountains, impressive waterfalls and the mighty Mekong River winding its way through the slim country. This six day circuit is Asiatica Travel’s most popular tour . On this journey you have the opportunity to discover the highlights of Vientiane capitalbefore heading on to explore LuangPrabang, the old city listed as a World Heritage by UNESCO. You will visit WatSisaket with its thousands of miniature Buddha statues, the former royal temple WatHorPrakeo, the Patuxay monument and take a boat trip on Nam Ou River to explore Pak Ou Cave and admire the beautiful Khuang Si Waterfall. Explore the scenic beauty of Vientiane and LuangPrabang! 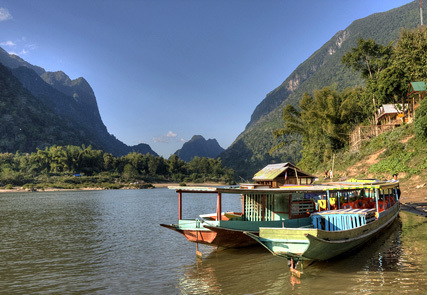 On this tour you will discover the stunning natural beauty and fascinating Buddhist culture of tranquil Laos. 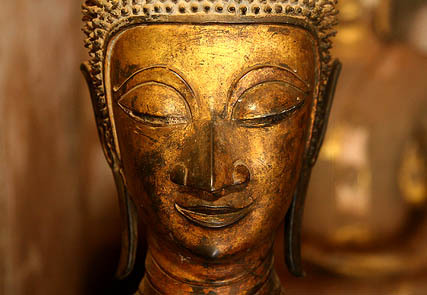 Starting in Vientiane, the capital of Laos located along the Mekong River, you will have the perfect opportunity to learn about Buddhist culture during visitsof some ancient temples likeWat Ho Prakeo, WatSisakeo or the Buddha Park and That LuangStupa. Then a short flight north will take you to LuangPrabang, one of Asia's most beautiful towns with its glittering temples, saffron-robed monks and sleepy riverside lifestyle. From here you will visitKhuang Si Waterfall about 30km further south. The highlight of this tour is an incredible cruise on Luangsay boat upstream the legendary Mekong River from LuangPrabang to Houeisay. Part of the legendary majesty Mekong River, Si Phan Don translating to 4000 Islands makes for an attractive traveler’s destination of stunning natural beauty. You will visit the impressive KhonePhapheng andLiphi Waterfall on the largest island here, and take a boat ride through the caves to get to know the daily life of people living on the Mekong River. En route to the 4000 Islands, you will stop to visit the archeological, ruins of WatPhu that pre-date Angkor Wat. This is a stunning temple recognized as a World Heritage Site in 2001 by UNESCO. A further stop willtheBolevan Plateau, home to numerous waterfalls, lush scenery, tribal villages, and unexplored corners. 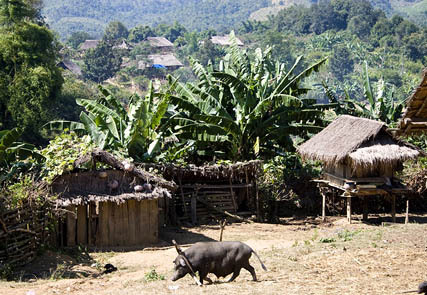 Don's miss this wonderful opportunity to explore Laos’ countryside! "We returned home safely and just wanted to tell you how much we enjoyed our journey in Vietnam. We are all so happy and better informed about life in Vietnam after the trip you so carefully organised for us." You have a plan to travel to Indochina but you do not know where to begin and you do not have time to read through all destinations, attractions and tours pages? Let us help you from the very first step with this simple form. You know what your expected holiday is but do not know where to go and how to build it. Just tell us the basic information; we will tailor it for you! Do you want our support to search for flights? How many rooms do you want? 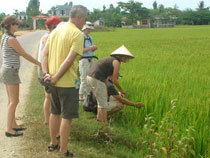 Asiatica Travel is a local tour operator based in Vietnam with international tourism license No. 0513/LHQT, a specialist in tailor-made holidays to Vietnam, Laos and Cambodia. © Copyright 2001 – 2016 www.asiatica.com. Welcome back! Redeem this voucher code at the request form for a complimentary dinner!